This programme is for anyone who works in a workshop. It's all about working safely, looking at why accidents happen and how they can be prevented. General workshop safety training is vital to ensuring that your staff follow best practices and remain safe in the workshop. No two workshops are the same, each with different hazards and machinery, this programme concentrates on general safety awareness, safe working habits and safe operating procedures. In our General Workshop Safety Training programme, we consider specific hazards that may be found in a workshop, such as dangerous equipment and hazardous substances. As not all hazards are relevant to everyone, these are optional - the information is provided as a pointer to further training that may be needed. For each type of hazard, it explains who needs to know about that particular type of hazard and what the dangers are. If you work in a workshop you may also be interested in our PPE Training and/or our Abrasive Wheel Safety Training. The General Workshop Safety Training course is broken down into 3 sections. 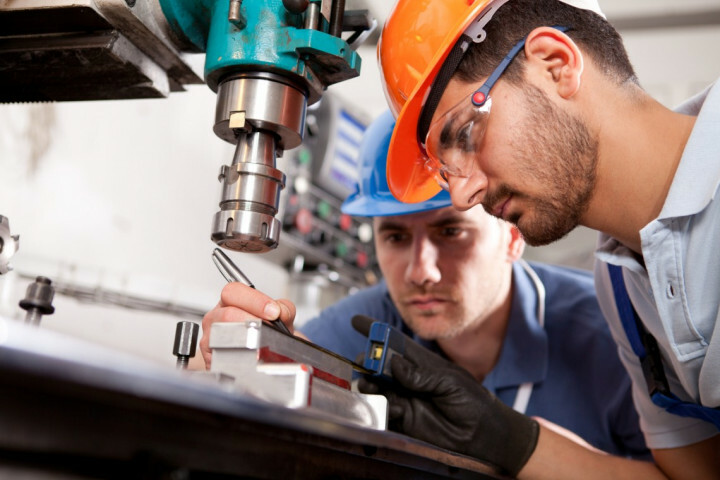 This section looks at employer and employee responsibilities, the hazards that may be present in a workshop and the common types of accidents which happen in a workshop. It also looks at where PPE, permit to work and health surveillance might be needed in a workshop. This section looks at the importance of safety signs, explaining what the different types are and what they mean. Something so simple can go a long way to improving workshop safety. This final section covers the basic workshop rules - the things that must ALWAYS be done to prevent accidents and the things that should NEVER be done. Downloadable PDFs of the DO’s and DON’Ts of Workshop Safety can be printed out and displayed. This General Workshop Safety Training course concludes with a 15 question multiple choice test with a printable certificate. In addition, brief in-course questionnaires guide the user through the sections of the training and are designed to reinforce learning and ensure maximum user engagement throughout. Your Workshop Safety Certificate includes your name, company name (if applicable), name of course taken, pass percentage, completion date, expiry date and stamps of approval or accreditations by recognised authorities. Based on 15 real user reviews. Course was easy to use but some slides were that brief it become frustrating having to click to the next one, there was always a pause for download which made the course rather more than the 30 minutes stated. Gives a basic overview of workshop practice, as usual common sense plays it part. The video clearly explain the content and the summary sums up each video well. Clear and to the point, a useful refresher. Nicely structured and is also good for occasional users. Read our full reviews for General Workshop Safety Training. - Assess risks to the health and safety of their employees and non-employees arising in, or from, the workshop, and review them when there is significant change. Records of significant findings of the assessment must be kept where there are five or more employees. - Plan, organise, control, monitor and review the preventative and protective measures taken as a result of the assessment. - Provide health surveillance where necessary, for example to help control health risks from metalworking fluids. - Appoint any competent person(s) needed to help them comply with legal obligations, for example, when having lifting equipment thoroughly examined. - Set out what should be done in case of serious and imminent danger in the workshop, such as the spillage of a large amount of degreasing solvent.